Canned Junk! 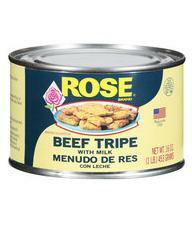 - Weird canned meats - and desserts! These are all Edible! Weird canned meats - and desserts! These are all Edible! For the carnivores out there who crave the exotic taste of verboten foods! The weird, unusual or just plain strange meats are yours for the taking! 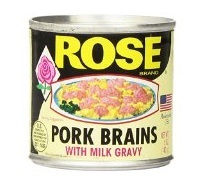 Delicious Pork Brains - With Milk! Shake Your Booty with Rattlesnake Meat! Cajun Gator - Tail Meat! Blow Your Horn With Elk Meat! Tripe (cow stomach) in Milk! Cajun style alligator, made from the finest tail filets! Makes great chili! Scorpions - 2 per tin. A gift selection sure to please the carnivore with exotic tastes in your family. You can eat it, or just put them on the shelf and dream! 4 7.5 oz cans per gift pack.